Fitting a voltage optimisation unit can improve the overall energy efficiency of your home. Voltage Optimisation will work throughout the day to lower and regulate the voltage coming in to your house, resulting in reduced energy consumption, fewer carbon emissions and lower electricity bills. Reduces maximum load for your household appliances and in return cuts electricity bills. Fit and forget: up to 12% off your bills every year. Fitting a commercial voltage optimisation unit can improve the overall energy efficiency of your business. Voltage Optimisation will work throughout the day to lower and regulate the voltage coming in to your business, resulting in reduced energy consumption, fewer carbon emissions and lower electricity bills. Commercial VO units are designed as a 3 phase system with higher currents in mind making them ideal for commercial use. All major supermarkets are currently running large scale versions of these units in virtually every store. Reduces maximum load for your business and in return cuts electricity bills. Using the correct lighting can drastically improve light levels and reduce energy bills. 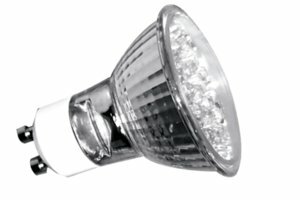 The lighting market is expanding rapidly with a huge choice of LED lamps available, even retrofit options are now available with a range of choices in colour, brightness, beam angle etc. Why not visit your local Howarth Timber to discuss your lighting options and potential savings you could make today! Low energy, long life and versatile lamps available in a variety of different types. Compact in size, they offer enormous opportunities to provide excellent accent, display and colour lighting in both commercial and domestic applications. They will also save you money on your bills due to their low energy usage whilst typically lasting a lot longer than average halogen bulbs. Contact The Green House on 0330 119 2529.